The use of bare platinum coils resulted in aneurysm recurrence in 15.4% of cases compared to just 4.4% (p>0.001) when hydrogel coils were used. Changes in the Raymond-Roy scale were used to judge aneurysm recurrence, with any progression counting as recurrence. The preliminary results of the new generation Hydrogel Endovascular Aneurysm Treatment Trial (HEAT) were announced at the Society of NeuroInterventional Surgery 15th Annual Meeting (SNIS; 23–26 July, San Francisco, USA). The study looked at the second generation of hydrocoils (HydroFrame, HydroFill and HydroSoft; MicroVention) to see if they safely reduced recurrence. It was a random, investigator initiated study with an 18–24-month follow-up time and based on a null-hypothesis that there was no difference in recurrence between bare platinum and hydrogel coils in treating 3–14mm brain aneurysm up to 24 months after treatment. The primary endpoint was that any progression along the Raymond scale was considered as recurrence. Although the study was not powered to look at retreatment, this also showed better results in the hydrogel coil group compared to the bare platinum coil (5% vs. 8%). Adverse events, such as mortality and rebleeding were similar between the two groups. The trial was carried out at 46 sites in the USA and Canada and 600 patients were enrolled and assigned on a 1:1 basis between the platinum and hydrogel group. In the platinum cohort the coiling procedure stipulated that only bare platinum coil could be used and any bare platinum coil could be used and in the hydrogel group the cohort needed to be treated with at least 90% hydrogel coils. 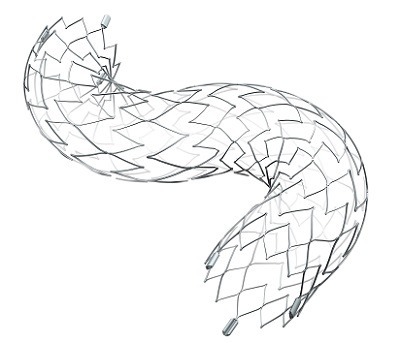 In both cohorts, assist devices such as balloons and stents could be used. The preliminary packing density was 24.8% for bare platinum coils and 33% for hydrogel coils. There has been a number of approaches over the last few decades on how to prevent aneurysm recurrence. These have included the improved design of platinum coils, bioactive coils, flow diversion and gel coils. The first generation of gel coils was found in animal models to be of benefit but were limited by early swelling and stiffness, limited repositioning time and preparation prior to use, Bendlock explained. The study was entirely funded by MicroVention, but the sponsor had no role in study design, data collection, data analysis or data interpretation, the writing of the report.